The School of Government has recently partnered with UNC Press for the sales and distribution of our publications. When you click to purchase this book you will be taken to an external shopping cart managed by Longleaf Services – a subsidiary. First time buyers may need to create a new account. 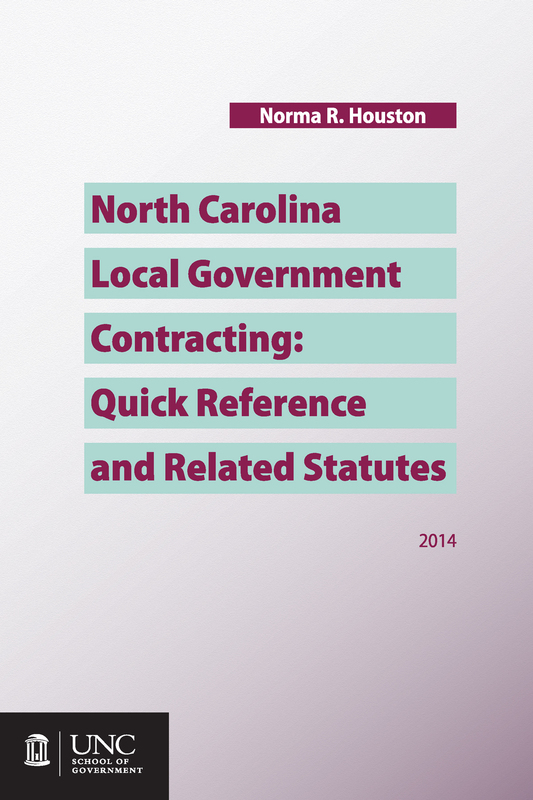 A quick reference for the contracting, bidding, and property disposal requirements applicable to North Carolina local governments, this publication provides general guidance to public officials and others interested in the public contracting process. 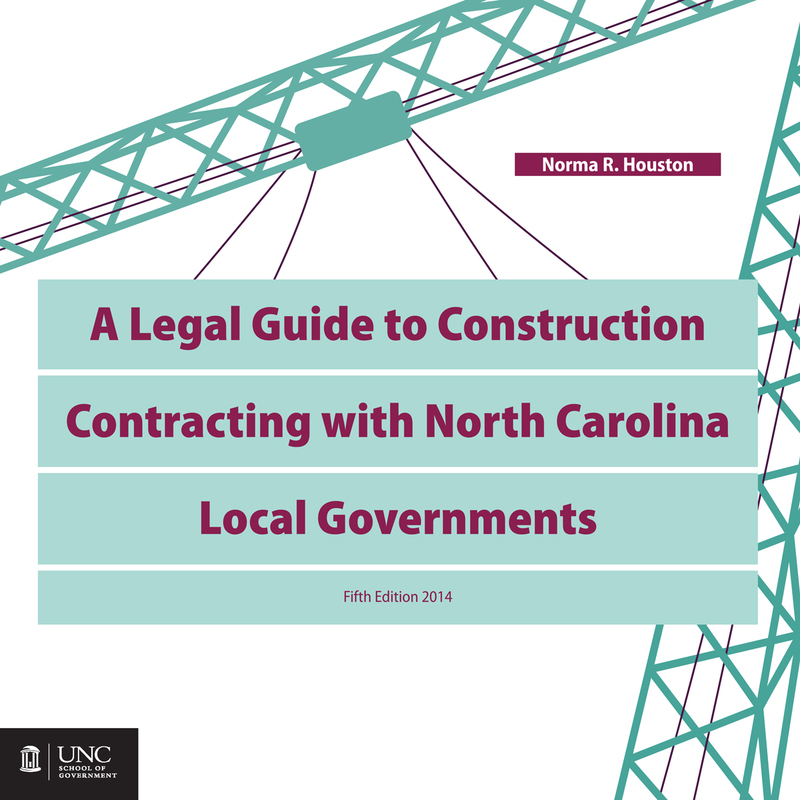 Selected North Carolina General Statutes governing contracting and bidding are also included. 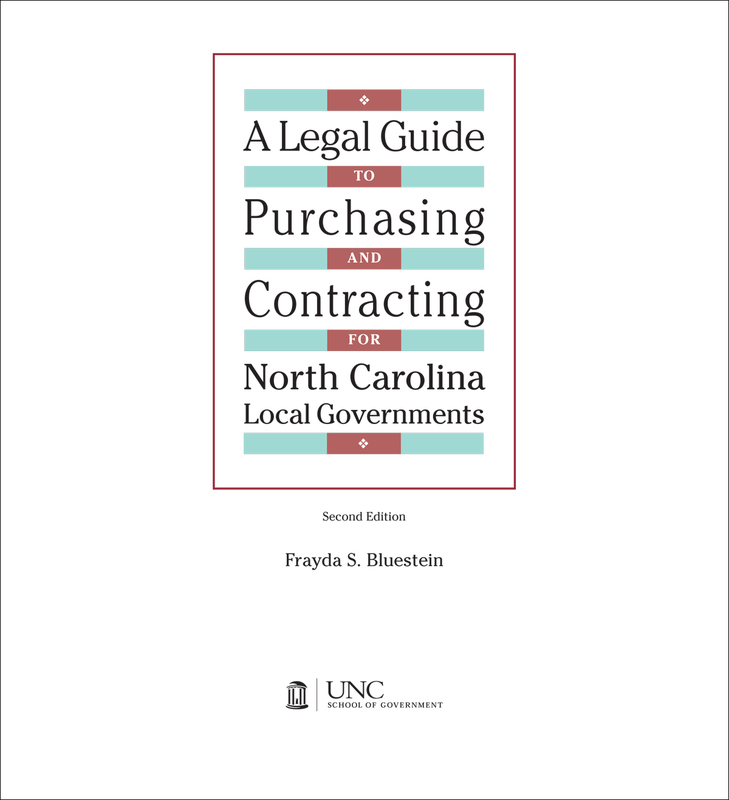 This edition revises two previously published guides, An Overview of Contract Bidding Requirements for North Carolina Local Governments, by Frayda S. Bluestein, and An Outline of Statutory Provisions Controlling Purchasing by Local Governments in North Carolina, by Warren Jake Wicker. When Are Bids and Proposals Subject to Public Inspection? What Kinds of Mistakes Allow a Contractor to Withdraw Its Bid for a Public Contract in North Carolina? 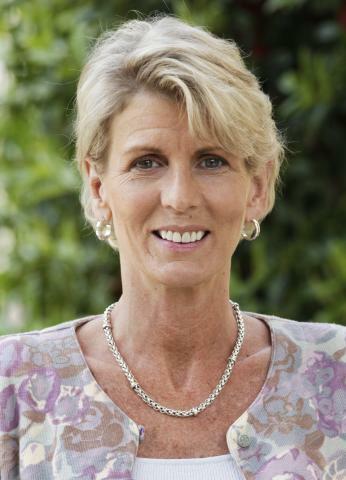 Can a Local Government Rescind Its Award of a Contract under North Carolina's Formal Bidding Statute?